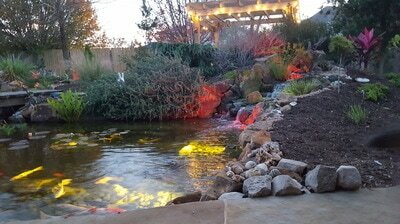 In today's busy lifestyle, it is often difficult to enjoy your pond and landscape during the day, especially in the winter months when days are shortest. 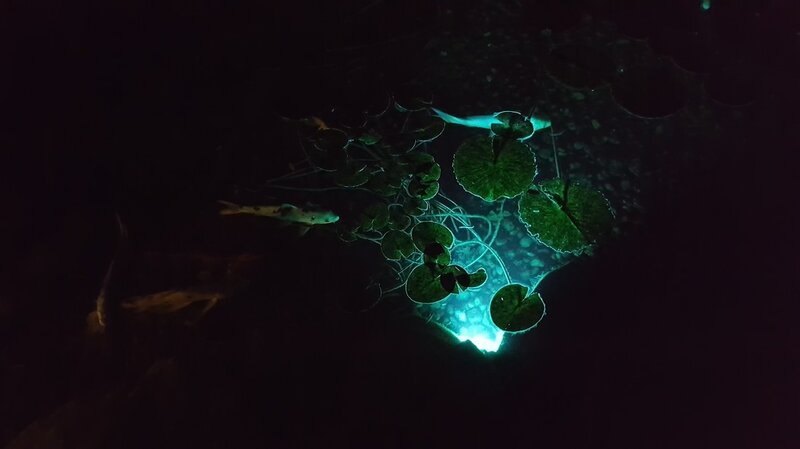 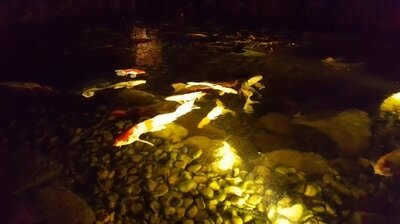 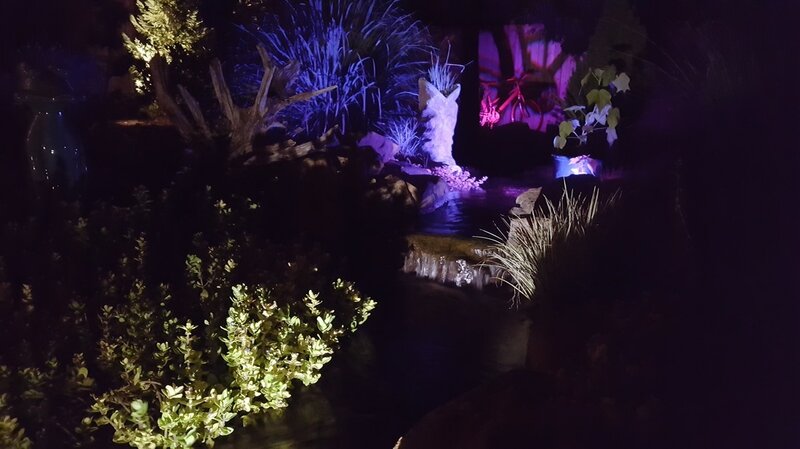 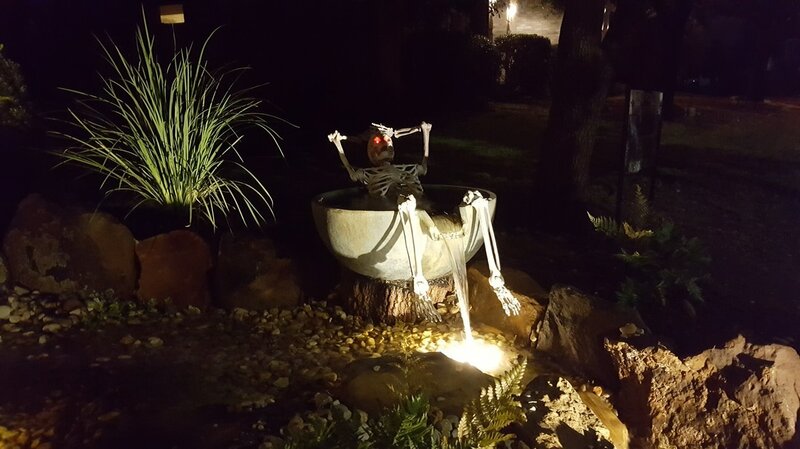 Adding lights to your Austin/Central Texas pond or water feature allows you to enjoy your outdoor paradise long after dark. The waterfalls don't stop falling and the fish don't stop swimming at dusk. 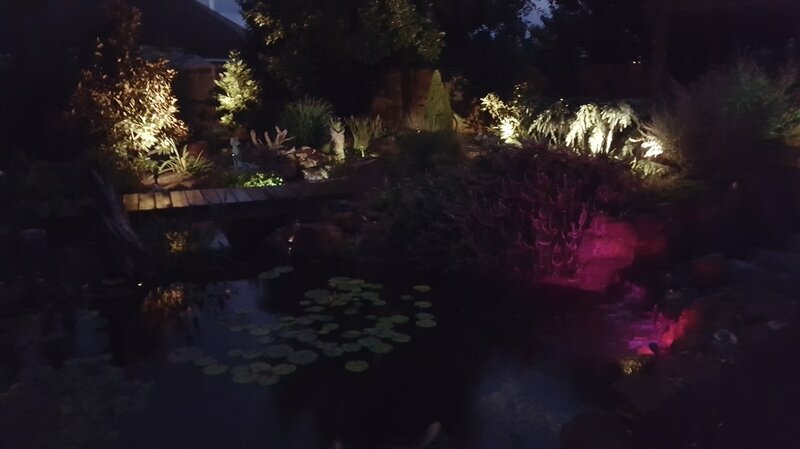 Installing a set of soft white LED lights to illuminate your space means that you don't have to stop interacting with your waterscape just because the sun goes down. 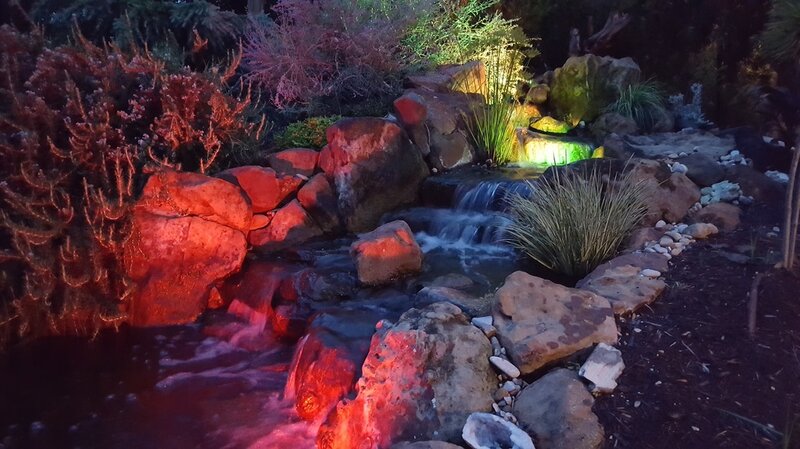 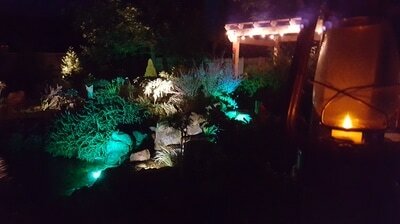 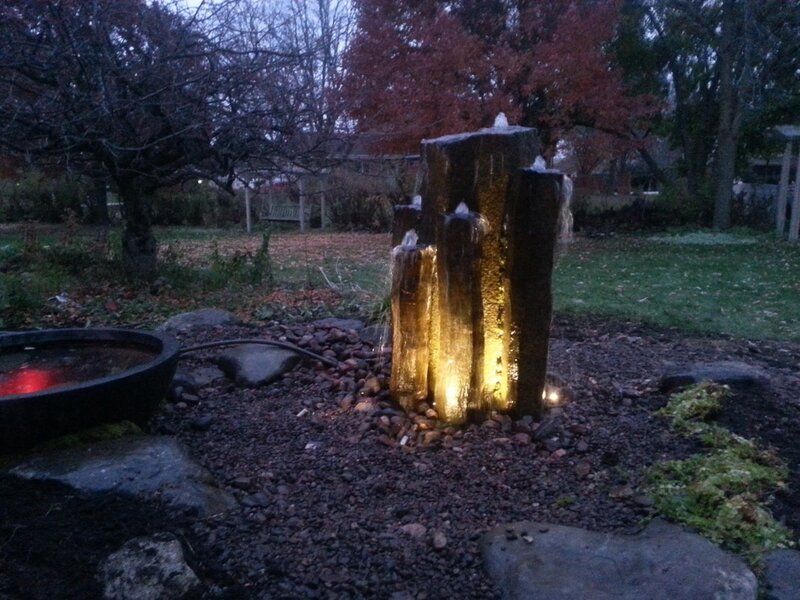 We also offer color-changing LED lights that allow you to create even more dramatic effects in your garden. 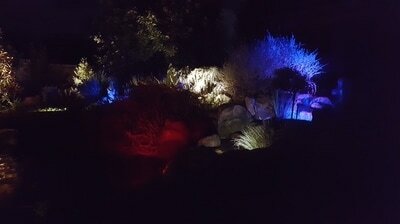 These can operate independently of the white lights. 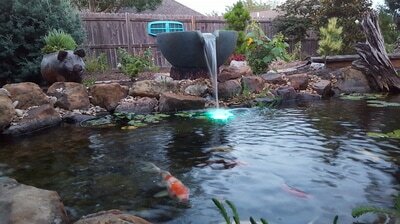 They feature several pre-programmed color shows or you can set the color you want to stay with. You can turn these lights on and off, adjust their brightness, and set the color using a remote control. 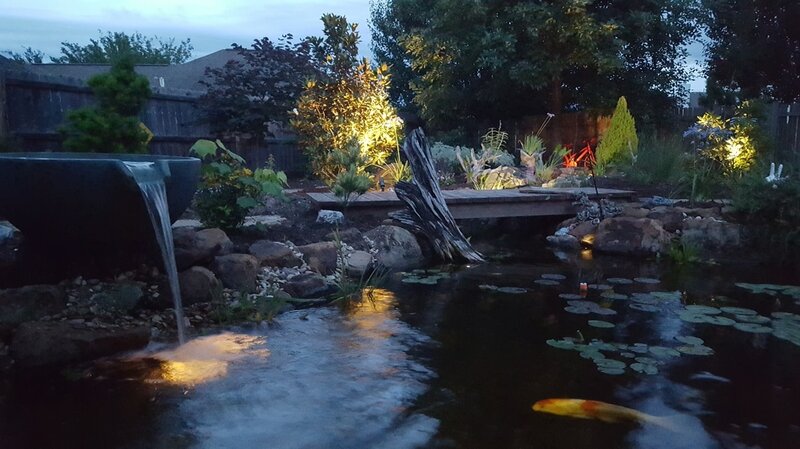 Fill out the form below and send us a couple of pictures to get started.